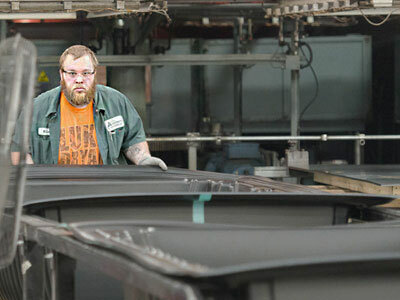 Allied Plastics believes that “Quality” is more than a Sales and Marketing buzz word. 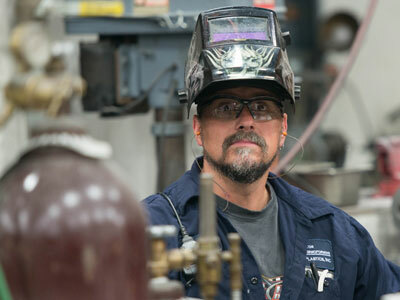 A state of mind that we continually instill in our employees, Quality capabilities start with design and end with the shipment of a superior Thermoformed Plastic product. All employees improve Quality by outperforming their internal and external customer’s expectations. Our team of Project Engineers is dedicated to taking your Vacuum Formed Plastic project from conceptual design through first part approval, tool machining, prototyping, and production run start-to-finish. An Allied Plastics Project Engineer will be assigned to your Plastic Thermoforming project to ensure that all dates are met and specifications are obtained. Full service Custom Sheet Extruder in sizes up to 120 inches wide x 200 inches long and .060” to .500” gauge thick. Our team has experience in Extruded Sheets in a wide variety of materials, such as Polyethylene, TPO, ABS, Styrene, Low Gloss ABS and others. Co-Extrusion capping ability adding multi-layer materials together to create a single Extruded Sheet. Allied Plastics will create you an expertly engineered Plastic Thermoform solution. We have CMM scanning capability to ensure an exact measurement and custom fit for your Packaging or OEM parts. Our skilled Design Engineers are proficient in AutoCAD, Creo Parametric 3D, KeyShot, Solid Works, EDrawings, SURFCAM, and Mastercam. To help you further with your Thermoformed Plastic project our Material Specialists listen to your needs and determine with our Design Engineers the correct material for your situation. Allied Plastics Tooling Center will cut a prototype pattern from your 3D model CAD file using CNC equipment. Sample parts will be run on the pattern for your approval. Once approved, a cast of the pattern will be made and the precision tool will be detailed with water lines and vacuum holes to achieve maximum Thermoforming performance. This tool becomes the “master key” of the process to provide peak efficiency and consistency of your Vacuum Formed Plastic parts time after time. Whether your part is Vacuum Formed, Twin Sheet Formed, or Pressure Formed, there’s one thing our processes all have in common — Allied Plastics commitment to precision engineering, supported by eleven state-of-the-art manufacturing machines. Throughout the production process, our in-house inspection team and equipment maintain the highest levels of accuracy in order to deliver Custom Thermoplastic parts of unsurpassed consistency and quality. Large Part Format: 8.5ft. x 14ft. x 60in.